International environmental conventions and treaties bring together governments, international organizations, non-governmental organizations, and other stakeholders to find shared solutions to global environmental challenges. There are several such conventions and treaties that specifically address wildlife (both terrestrial and marine). They serve as legal frameworks that help to protect wildlife, such as controls on the international trade in wildlife and wildlife products through the Convention on International Trade in Endangered Species of Wild Fauna and Flora (CITES), stimulating transboundary conservation through the Convention on the Conservation of Migratory Species of Wild Animals (CMS), or by enhancing the protection of outstanding natural areas/national parks, for example, through the World Heritage Convention. To contribute WCS's scientific, technical, and policy expertise to international discussions between governments and influence international policies and commitments that will benefit wildlife and wild places, and impact WCS's work in the field for the benefit of wildlife and wild places. 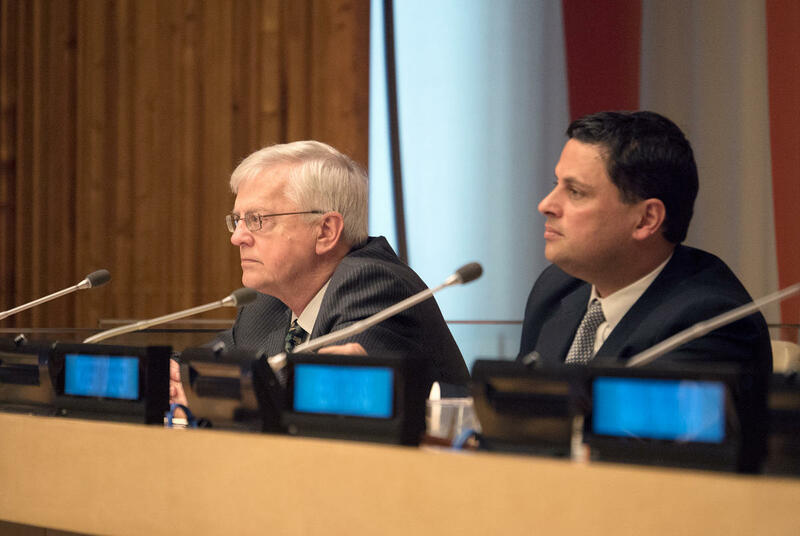 WCS's John Robinson (left) at the United Nations. Ensuring that the crucial role of biodiversity is key to the delivery of the United Nations (UN) Sustainable Development Goals (SDGs), including through government aid programs. We work closely with national governments and regional organizations such as the European Union (EU) to provide technical advice from our field and policy experts to both influence and enhance the effectiveness of their conservation-related policies. WCS has built strong working relationships with policy-makers in the EU institutions through our European Policy Office based in Brussels, and is also working with a number of European governments. We also operate at the global level and engage in international fora including in UN treaties and conventions such as CITES and CMS. 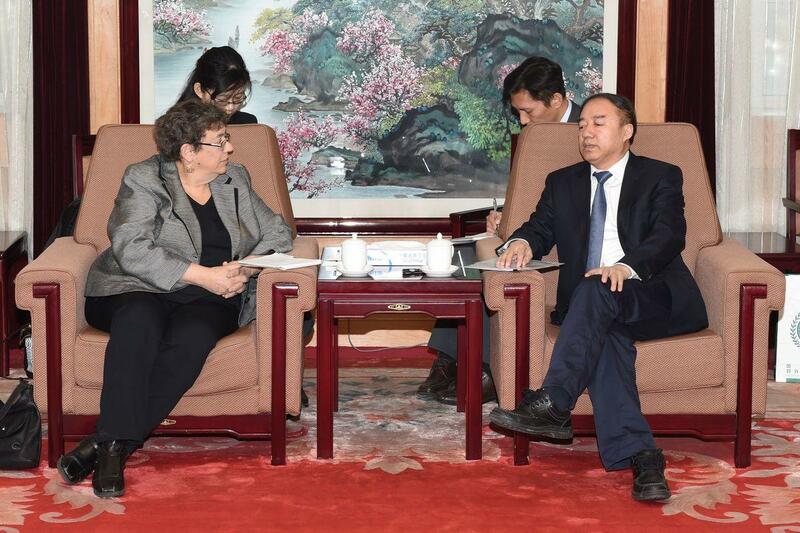 WCS's Susan Lieberman meets with Chen Fengxue of the China State Forestry Administration. WCS has staff working in the field and in capitals in about 60 countries, including a large number of PhD scientists with considerable scientific and technical expertise. WCS also has staff with many years of policy and scientific experience, including close collaboration with governments and intergovernmental organizations. We have long-standing relationships with governments at all levels (local, national, and international) where we work in the field, including in countries in Asia, Africa, the Americas, and Oceania.